The NHMRC have generously provided $535,000 in support of a research project being coordinated by Prof Martin Ebert. 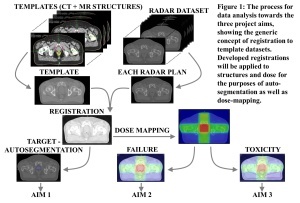 The project focuses on the use of radiotherapy for treating prostate cancer, where questions need to be answered regarding the relationship between radiographic identification of the prostate organ, the role radiotherapy treatment planning has in targeting the actual cancer cells, and the relationship between radiation dose to healthy tissues and resulting treatment side-effects. The project will take ‘old’ treatment data, collected during a large clinical trial, and combine it with ‘new’ data which incorporates magnetic resonance imaging (MRI) in the planning process in order to achieve the expected outcomes. The derived information will then be ‘tested’ on new trial data being collated in the United Kingdom. 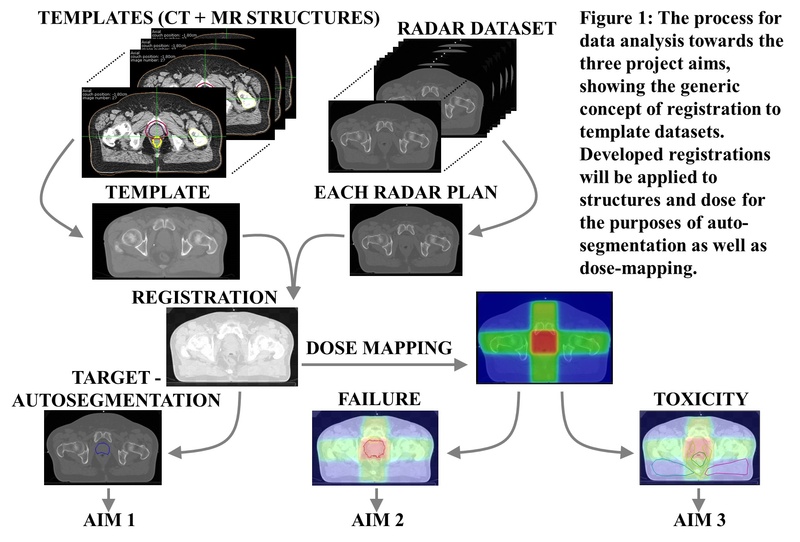 One of the aims of the project is to develop new models that relate the patterns of radiation dose in a patient to their expected likelihood of cure and treatment side-effects. The project will involve collaboration with the Sir Charles Gairdner Hospital in Perth, the CSIRO eHealth centre in Brisbane, the Peter MacCallum Cancer Centre in Melbourne, the University of Newcastle Medical Physics and Prostate Cancer Trials groups, the Ingham Institute in Liverpool NSW, and the Royal Marsden Hospital/Institute for Cancer Research in the United Kingdom.